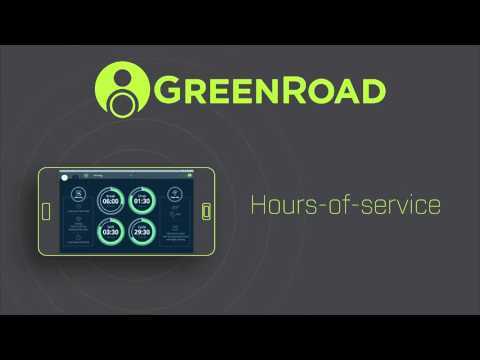 GreenRoad is a fleet performance management system that offers mobile workforces a single and centralized platform from which to manage driver safety, fleet operations and performance consulting effectively and efficiently. Incorporating an intuitive dashboard, smart filtering, reporting tools, tracking features and real-time analytics, GreenRoad aims to provide users with a powerful and simple fleet performance management solution. To improve driver safety, GreenRoad enables users to track and analyze driver behavior, record in-vehicle videos and measure driving improvement over time with safety scores. From the intuitive online GreenRoad dashboard, users can view fleet key performance indicators, find fleet safety and idling hotspots, access real-time driving tips as well as identify fleet fuel trends and manage fleet driver and vehicle policies. With easy-to-read charts, maps and reports, GreenRoad’s dashboard provides users with quick and complete visibility into driver and fleet performance. Besides driver safety, GreenRoad serves to enhance operational efficiency with its live fleet tracking tool, real-time alerts, route replay technology and administration and utilization reports. Users can also set custom alerts to receive instant notification when fleet drivers enter or leave custom-designated areas or experience vehicle healthy and safety issues. Further to operations, GreenRoad enables users to manage document and expense compliance as well as arrange International Tax Association reports accurately and easily. As a cloud-based service with native mobile applications on iOS and Android, GreenRoad ensures all data is stored safely, backed up instantly and accessed easily at any time from any remote location. Basic information, RED, YELLOW, GREEN gives users a immediate understanding as to how their driving is. And because it is immediate it allows drivers to correct problems on the spot without having to wait for office to review. User Portal is perfect for giving users a clear picture as to where they are sitting and how there performance is. GPS tracking and info at times is not up to date which causes false readings and information to be sent to the user. Greenroad is handsdown the best Fleet Management software in the industry! Coming from the database world we often get asked for recommendations from our clients for vendors to help alleviate other organizational business initiatives. So after doing A LOT of research in a very competitive space Greenroad was the best solution to help this customer achieve what they wanted to accomplish. It was essentially a win-win for all parties involved. Every vendor has GPS tracking along with Greenroad. However, Greenroad really has a distinct focus on Driver Behavior, Change Management, and a portal to provide real-time actionable data in a dashboard format allowing clients a view of an entire fleet. The product is a SaaS based software so updates are quick and the interface is user friendly. I would highly recommend Greenroad to any organization looking for a next generation SaaS based Fleet Management product. The team within the organization "listen's first" while building out a solution to address all goals, needs, and business initiatives within the organization. To receive accurate price information, contact GreenRoad directly. GreenRoad is available as a native mobile application on iOS and Android, affording users the flexibility to access and utilize their data on the move. GreenRoad enables drivers to receive real-time in-vehicle feedback, aiming to improve driver safety and reduce risk. Users can review key performance indicators, charts and reports from the GreenRoad dashboard, providing users with actionable insight into every fleet driver, vehicle and trip. GreenRoad facilitates performance consulting, converting data and goals into a plan of action for improving fleet results. GreenRoad helps users create summarized or detailed mileage reports, thus allowing users to submit compliant International Fuel Tax Agreement forms accurately and easily. Below are some frequently asked questions for GreenRoad. Q. What type of pricing plans does GreenRoad offer? Q. Who are the typical users of GreenRoad? Q. What languages does GreenRoad support? Q. Does GreenRoad support mobile devices? Q. Does GreenRoad offer an API? No, GreenRoad does not have an API available. Q. What other apps does GreenRoad integrate with? Q. What level of support does GreenRoad offer?